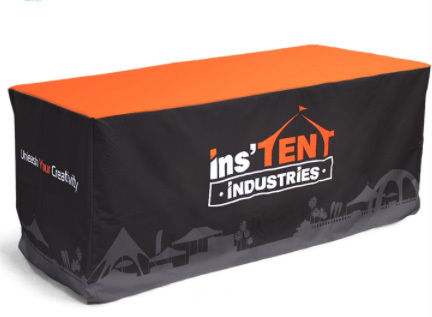 Pull Up Banner Australia is one of Australia's leading supplier of printed tablecloths. 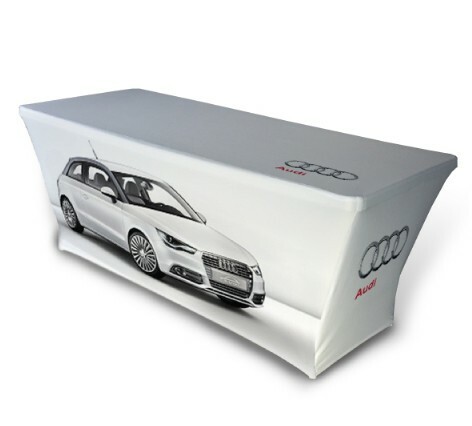 Table throws are the ideal way for promoting your next trade show or event and having a professionally branded tablecloth gives your display table and event that extra edge. Available in 3 different styles Throw - Fitted - Stretch these custom printed tablecloths come in 2 sizes. 6ft and 8ft. Create a stunning custom loose printed throw on tablecloth. The professional look will pop your brand out at any event. 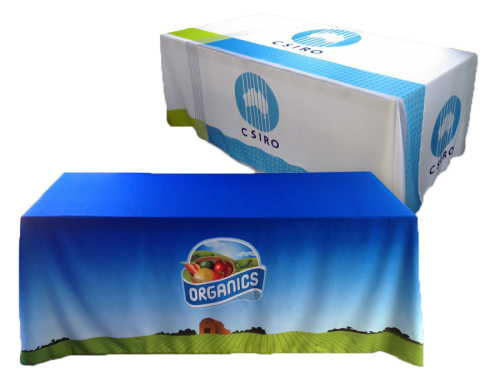 We have printed and delivered tablecloths to clients and events in Sydney, Brisbane, Adelaide, Canberra, Perth, Melbourne. If you’ve been looking for a company that sells printed tablecloths in Australia, you have come to the right place. For your next event or function we will be able to help you design a custom tablecloths that can stand out from your competition! Stretch Tablecloth are light weight, machine washable and will improve a company’s presentation at trade shows, conferences or sporting event. Our Fitted style are made from 600D oxford material and printed using our unique sublimation method for the best finish result. 6Ft Printed tablecloths are designed to fit on a 1830 x 762 x 737mm standard sized table. 8ft Printed tablecloths are designed to fit on a 2440 x 762 x 737mm standard sized tables.